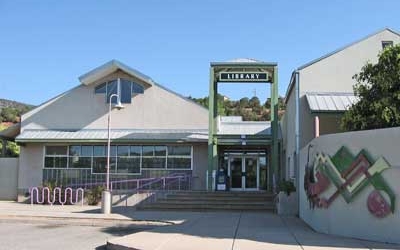 The East Mountain Library is located midway along Tijeras Canyon, just adjacent to Exit 175 off of I-40. There is no bus service to this library. Take I-40 eastbound to the Tijeras exit #175 and proceed in the right hand lane into Tijeras. Turn right at the stoplight and go just beyond the post office to the next driveway, which leads into the library parking lot. Go eastbound on Central Ave past Tramway Blvd about four miles. You are now on historic old Route 66. Watch for the Los Vecinos Community Center on your right. Be prepared to make a left hand turn as you round the curve. Look for the Library on your left. East Mountain has one meeting room that will hold a maximum of 38 people. Policy, rules and required forms for using the meeting room may be found at Meeting and Study Rooms as well as a list of meeting rooms at other branches. East Mountain has two study rooms that will hold a maximum of four people each. The study rooms may be reserved by calling 505-281-8508. Check in at the Information Desk to gain access to a study room. We are a Fiction to Go location! What is Fiction to Go? The Friends for the Public Library sells slightly used, recently published fiction titles for $2 for hardbacks and $1 for paperbacks. Like all funds that our Friends receive, all proceeds from Fiction to Go sales benefit the Public Library! A monthly book club with selected readings with discussion. Check the website or contact the branch for book titles. Movies in the Mountains classic film series is held every 3rd Saturday from 2:00 - 4:00 pm. All ages are welcome and no registration is needed. ​A program for children of all ages, featuring books, puppets, music, movement, science activities, movies and/or crafts to encourage early literacy skills. Our Lego club meets monthly where you can build alone or with a friend. Thursdays from 11 am to noon. Call to make an appointment (505-281-8508). Reading to appreciative and non-judgmental furry friends helps to increase kids' confidence and joy of reading. Weekly on Wednesdays and one Saturday a month. See more information about Read to the Dogs. Animal Crackers (1932) Starring the Four Marx Brothers and Margaret Dumont. Join us on the last Thursday of the month from 5:45 - 6:45 p.m. in the East Mountain Community Room to discuss our Latest reads! Our group alternates between fiction and non-fiction titles. All are welcome to attend. Children of all ages and reading levels are welcome to join us every Wednesday from 1 - 2 p.m. and again on the second Saturday of the month from 1 - 2:00 p.m. for our special Read to the Dogs program. 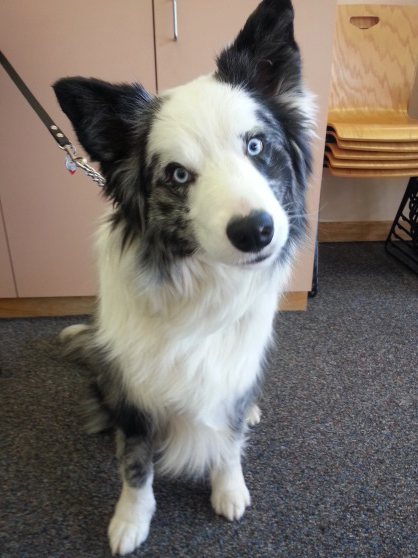 Learn how to read a-loud to these trained therapy dogs and enjoy the listening ear of a canine in a comfortable environment. No prior registration required.